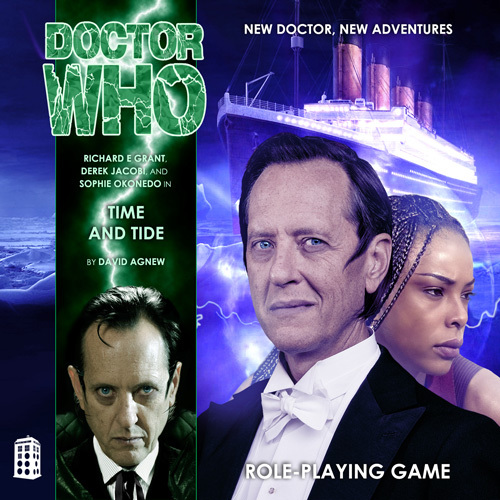 Synopsis: On the eve of one of the greatest tragedies in maritime history, the Doctor and Alison board the RMS Titanic. Alison is troubled by the prospect of playing a role in the disaster, but the Doctor is insistent: the ship must sink if the timeline is to remain intact. A strange apprehension has gripped Captain Edward Smith, however, inspiring him to take certain precautions that may well undermine fate. As the Doctor and Alison begin a frantic investigation, they feel as if their movements are being tracked by a number of marble statues, artful sculptures that seem able to move about the ship of their own free will. A familiar force has stowed away aboard Titanic, a force intent on corrupting the future of the human race. With the Doctor doing everything in his power to preserve the tragic course of history, time itself becomes an enemy. At 23:40 ship’s time, Titanic collides with an iceberg. 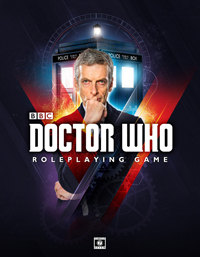 From that moment on, everything and everyone remaining aboard is destined to reach the bottom of the Atlantic Ocean—including the Doctor, Alison, and the TARDIS! This entry was posted on 16/02/2016 by hedgewick. It was filed under The Nth Doctor and was tagged with Alison, Episodes, The Master, Time and Tide.